The term ‘Man o War’ applies to Ships of the Line, First, Second, Third and Fourth Rate ships in the British Navy and ships of equivalent size in other navies.. 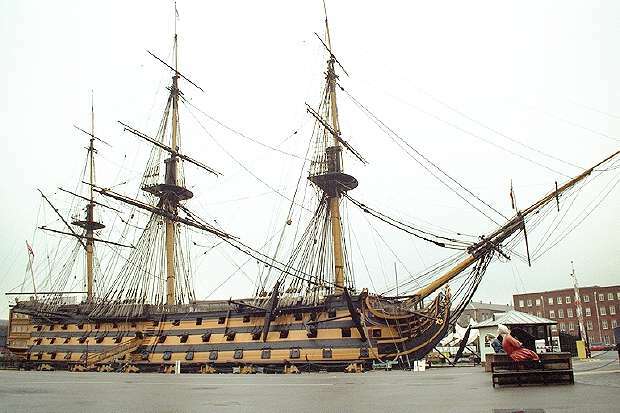 First-rate was the designation used by the British Royal Navy for its largest ships of the line, those mounting 100 guns or more on three gundecks. First-rate vessels carried over 800 crew and displaced in excess of 2,000 tons. In the original rating system from the 1670s, first-rates were ships of exactly 100 guns, but as time passed, ships were built with more guns, and they too were called first-rates. Although very powerful, first-rates tended to be slow and unhandy. For stability, the lowest gundeck had to be very close to the water, and in anything but calm water the gunports had to be kept closed, rendering the entire deck useless. Ships of this size were also extremely expensive to operate. As a result, the first-rates were typically reserved as commanding admirals’ flagships. In the British Royal Navy, a Second-rate was a ship of the line mounting 90 to 98 guns on three gun decks. They were essentially smaller and hence cheaper versions of the three-decker First rates. Like the First rates, they fought in the centre of the line of battle, and unlike the First rates, which were considered too valuable to risk in distant stations, the Second rates often served overseas as flagships. They had a reputation for poor handling and slow sailing. Typically displacing around 2000 tons and carrying a crew of 750, the Second rates carried 32-pounder guns on the gundeck, with 18 pdrs instead of 24 pdrs on the middle deck, and 12 pdrs on the upper deck (rather than 18 or 24 prds on First rates). Both First and Second rates carried lighter guns on their forecastles and quarterdecks. 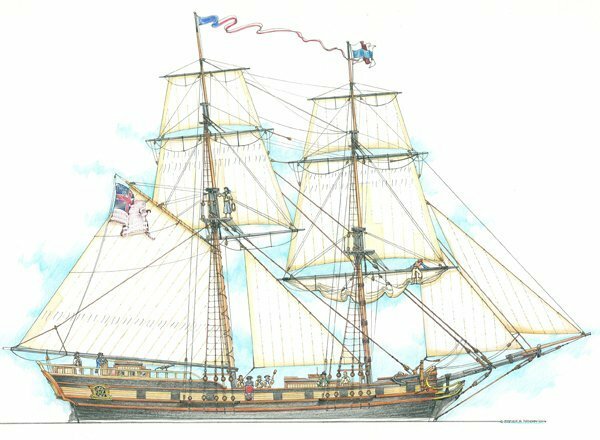 The three-decker Second-rate was mainly a British type, and was not built by other European navies to any great degree. Apart from its unhandiness, in terms of sheer firepower it was matched or even over matched by the 80 and 74-gun two-decker Third-rates used by the French and Spanish navies instead. The additional deck did, however, give the second-rate an advantage in close combat, and it had the further tactical advantage of sometimes being mistaken by the enemy for a first-rate which could possibly make enemy commanders reluctant to press an attack. 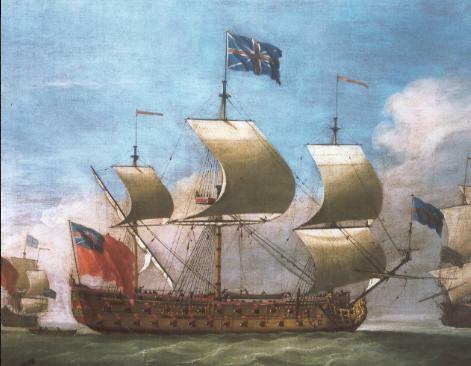 In the British Royal Navy, a third-rate was a ship of the line mounting 64 to 80 guns, typically built with two gun decks (thus the related term two-decker). When the rating system was first established, in the 1670s, the third rate was defined as 70 guns, with second-rates having 90 guns, and fourth-rates 54–60 guns. As time passed, and different ships were built with greater or fewer numbers of guns, the term was expanded to include the whole range from 64 to 80. They carried between 500 and 720 men. This designation became especially common because it included the 74-gun ship, which eventually came to be the most popular size of large ship for navies of several different nations. It was an easier ship to handle than a first or second rate ship, but still possessed enough firepower to potentially destroy any single opponent. It was also cheaper to operate. In the British Royal Navy, a fourth-rate was, during the first half of the 18th century, a ship of the line mounting from 46 up to 60 guns. While the number of guns stayed subsequently in the same range up until 1817, after 1756 the ships of 50 guns and below were considered too weak to stand in the line of battle, although the remaining 60-gun ships were still classed as fit to be ships of the line. However, the 50-gun ship continued to be used largely during the Seven Years’ War. A fifth-rate was a sailing frigate mounting 32 to 44 guns with the main battery on a single deck. Fifth-rate ships acted as fast scouts or independent cruisers and included a variety of gun arrangements from 32 or 36 x 12 pounders to 36, 38, 40 or even 44 x 18 pound guns. Tonnage ranged from 700 to 1450 tons, with crews of 215 to 294 men. To be posted aboard a Fifth-rate ship was considered an attractive assignment. Fifth raters were often assigned to interdict enemy shipping – meaning the prospect of prize money for the crew. Fifth rate frigates were considered useful for their combination of manoeuvrability and firepower, which, in theory, would allow them to outmanoeuvre an enemy of greater force and run down one of lesser force. It was for this reason that frigates of this sort were commonly used in patrol and to disrupt enemy shipping lanes much as battlecruisers would later in history. Sixth-rate was the designation used by the Royal Navy for small warships mounting between 20 and 28 nine-pounder guns on a single deck, sometimes with guns on the upper works and sometimes without. Sixth-rate ships typically had a crew of about 150- 240 men measured between 450 and 550 tons. A 28 gun ship would have about 18 officers, including a captain, two lieutenants and the key warrant officers- the master, the Ship’s surgeon, the purser, the gunner, the bosun and the carpenter- and four midshipmen. The rest of the men were the crew, or the ‘lower deck’. They slept in hammocks and ate their simple meals at tables, sitting on wooden benches. Some were marines while in a strong crew the bulk of the rest were experienced seamen rated ‘able’ or ‘ordinary’. In a weaker crew there would be a large proportion of ‘landsmen’, adults who were unused to the sea. Some sixth-rates were small frigates. Some larger ship-rigged, flush-decked vessels, known as ‘post-ships’, were rated, which meant they were large enough to rate a Post-Captain in command, instead of a Lieutenant or Commander.